The weakness entered slowly so that its presence was not felt for many days. She thought she was more tired, had been playing too long, not sleeping well enough. There is no thought of illness or disease for an eight year old who has only known full vigor. Each day was a fresh start of the same joy of living. And so it took an outsider to notice the difference. Her teacher noticed the lack of bounce in her movements, the slow almost vertiginous way of maneuvering to her seat after recess. Her parents became alarmed when forced to see her as not overtired but as failing. Two days of bed rest and soup made no difference; the lack of activity seemed to only intensify the unsteadiness. And now also there was some pain in her legs. It was 1982 and medical beliefs are time contained; each epoch has its own thoughts of cures and causes. To compound it, each physician lives in different eras in their own personal medical journey. I was young, just two years past residency and now the teacher of a new cohort of residents and students. I was only a month into ownership of the ward service, which had its own set of routines and customs, ethics and expectations. There, we were a family thrown together by circumstance, trying to sort out how to communicate, how to support, how to censor, how to get on with the day. The nurses were the only constants in this world, the keepers of the culture; the residents, the doctors, the patients all just visitors. To this world now came eight-year old Rachim, the weak legged. One attending, one senior resident, two first year residents, three medical students and six nurses during the day, two nurses at night. The beginning was all ritual. Nursing intake, nursing history, the list of possessions, the family requests. She was in a room with four other children; she wanted to know how she would use the bathroom, where would her mother live? And then the medical student and intern together talking to them, dutifully recording the progress of symptoms, the current problems and then a physical exam having her walk in slippers on the linoleum floor of the room. And then the senior resident asking fewer questions but still taking her time going over the reflexes and the muscle tone and the tickling of Rachim’s feet. Hours went by with all of this layered investigation. Later that day, after blood tests had been taken and a spinal tap performed, I met Rachim and her family. They were looking for answers. All these tests had served to confirm their worst fears. They expected an older wiser person than I, someone who never wore a white coat and had a shuffled look. But I was all that they had and they were looking for some sign that I could be trusted. All that you ever have to offer, really, is who you are. Mostly I wanted to listen, to hear the small details. The clues are always in the spaces between the words. To listen to someone’s story at their own pace is to respect that person. For me that has always been the entrance to a family’s trust. And so I explained as best I could what we had discovered about Rachim. That there was definitely a problem and that it was slowly getting more intense. That we thought that the root of the problem was in the nervous system, in the nerves of the spine. That there was an illness called by its discoverer’s name, Gullain Barre Syndrome, which was the most likely cause of Rachim’s weakness. This process involved a gradual progression of nerve involvement up the spinal column. The illness had three phases. Rachim was in the first phase during which there was progression; stage two was a plateau phase in which the weakness stabilized; partial or complete recovery occurred during the last stage. The medical treatment was still very primitive and mostly involved following the course, avoiding complications (particularly if the muscles that control breathing became involved) and maintaining nutrition and physical therapy. Medicine likes clean winners— diseases with known therapies and ready answers. Gullain Barre in the early 1980s had no such qualities to recommend it. And so the worst sort of malady beset the family, with each day bringing new worries amidst uncertainty as the daily strength testing was performed and monitored and slow but sure progression noted into the abdomen and into the muscles of the urinary bladder. After ten days, pulmonary testing showed that these muscles were also becoming involved and Rachim was moved to intensive care for even closer observation. In our current time it is easy and painless to follow the blood oxygen and the work of breathing; thirty-five years ago there were only painful arterial blood gases taken with needles or indwelling lines attached to machines. Rachim was losing the use of her muscles. And the daily routine of the ward, reassuring in its consistency and its citizenry, was also lost to her in the bright lights and noise and hustle of the intensive care unit (ICU). In the ICU sleep is fitful and episodic, night becomes day and days are lost. But when the alternative is worse, when the alternative is death from respiratory failure, then there are few options. And then finally at day fourteen there seemed to be a plateau, no further progression. Days fifteen to twenty confirmed the plateau and then improvement in pulmonary function. The family was eager to see continued success. Rachim wanted to get back to the ward that she now knew so well. I too wanted Rachim back in my own country again. But four more days were spent making sure that the breathing was strong, the blood oxygen steady. mornings were normal the first two days and then stopped because they were painful and Rachim was doing so well. And she was now in stage three of the illness and so we all, her doctors and nurses, her family and a legion of well-wishers seemingly culled from every corner of the ward, took a sigh of relief and saw everything as signs of improvement. Each night Rachim was more tired but this was seen mostly as a result of her physical therapy and deconditioning. One of the most serious errors that medical people make is to reach a conclusion too swiftly. To limit the alternatives too quickly. To color perception with subjective data or with the myopia of hope. Not one of us — not the residents, the students, the nurses, the consultants, or myself— saw. We did not see that in this increasing tiredness, the earlier onset of sleep or the gradual creep of exhaustion, that the hard work of breathing through impaired muscles, muscles still so weak from the long days of injury — recovering but very slowly— had resulted in breathing more shallowly every evening. Until sleep on the fourth day after the return from intensive care came at too high a price. Your body can sense a lack of oxygen when you are awake. But it only puts you into deeper sleep at night. In 1982 there were no heart monitors in the rooms, only in the intensive care setting. And so at 3 a.m. came an alarm from the night nurse patrolling the floor taking blood pressures and pulses. Rachim’s was very low and she would not wake up or respond. Emergency codes were called and thirty people showed quickly to start intravenous and monitor the heart. And then emergency CPR and intubation and then more medicines and emergency procedures and then one hour of breathing into a body that didn’t want to breathe, and pumping a heart that no longer pumped. Rachim was dead. It was 4 a.m. and the world had stopped. This young girl who had put up such a struggle and had succeeded into recovery was dead. I remember that we all thought this was just some bad middle of the night dream; that when the sun came up in a few hours we would start rounds and she would be there quietly staring at us and listening to us talk about her vital signs and the plans for the day. Nighttime is always surreal, endless, small matters seem overwhelming. And then, the equally clear reality that she should be in her bed waiting for the day to begin. We had all, I as chief of service, made too many errors of thinking. I had put the blinders on too early, and was too ready to see her as recovered— as no longer high risk, a normal young girl with some leg weakness. It had not entered my thinking that her active day could be a cause of nocturnal disaster, that weak lung muscles wiped out by too much work would be unable to keep up. practice is full of the healthy sick who will get better no matter what is done to them; that is just less true for the branded ones sleeping in a hospital bed. The parents were too understanding. I wanted them to scream and cry. They listened to all that had happened, to our misreading of her weakness and her muscle tiredness, to not checking blood gases because we wanted to spare her pain and because we led ourselves to believe that she was fine. They listened, they held her, they thanked us for being so involved in her care and they left. I went to the funeral; a small group of friends and close relatives, quiet and solemn. Everyone told me that I had done the best I could do. I don’t think they were religious or believed that there was a god watching over her or that she was now alive in some better place, or that she would return in some other form. At least if they had a religious foundation they kept it to themselves. Rachim is always with me. Every time I take care of a child in the hospital, every time I talk to a parent about a very sick child, she is there guiding me, making me listen more to the details, to the fears or anxieties in the story, to any subtle clues that this child, this episode of illness, might not be so simple and might need more attention. I call back parents a lot, the next day, two days later to follow up, to make sure. Rachim taught me to listen more, feel the body language and feel the struggle within the child. She made me a better doctor. 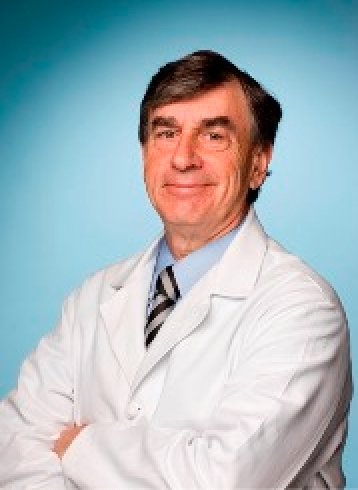 Steven Kairys, M.D., MPH, is Chairman of Pediatrics at the K. Hovnanian Children’s Hospital at Hackensack Meridian Health, Jersey Shore University Medical Center and Founding Chair of the Department of Pediatrics at the new Seton Hall-Hackensack Meridian School of Medicine.